Exploring Marrakeshs’ Medina and the famous Djemaa El-Fna filled with snake charmers, acrobats fortune tellers, musicians and food stalls, the Hassan II Mosque in Casablanca, overlooking the Atlantic, Fez el Bali – the UNESCO World Heritage site, the Middle Atlas mountains, the Sahara on camelback, the highlights for me were definitely the tannery co-op in Fez, the Gnaoua music festival and the azure doors of Essaouira. 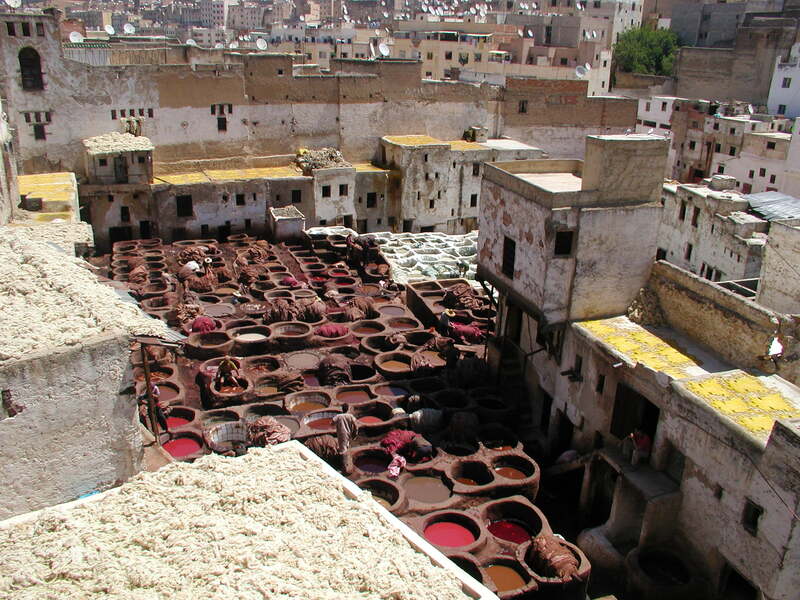 The medieval tanneries of Fez, produce much of the city’s renowned leather. The sight of dozens of men waist deep in vats full of dyes in an array of colors is really an unforgettable sight…and smell. 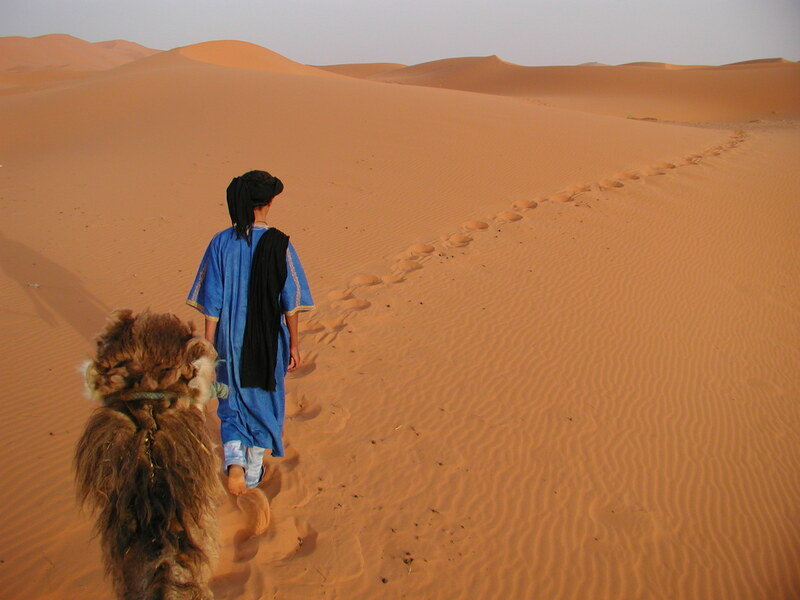 The camels are skinned in the narrow streets and the hides and remains lay scattered around, the hides are then thrown into the vats filled mostly with pigeon droppings, mixture of acids and cow urine then stomped on for hours to soften the leather so it can absorb the dye, then laid down flat to dry on nearby rooftops.